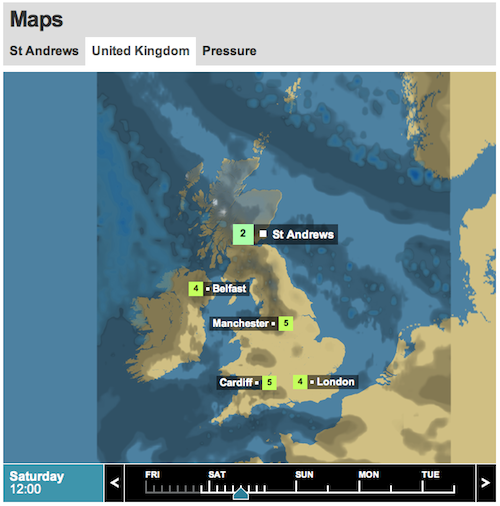 A couple of weeks ago the BBC launched a–much needed–complete redesign of their Weather site. It's great, a million miles from the one that it replaced. All apart from one thing. When not frustrating, perhaps it's humbling that even the people behind the biggest UK website get it so wrong sometimes. 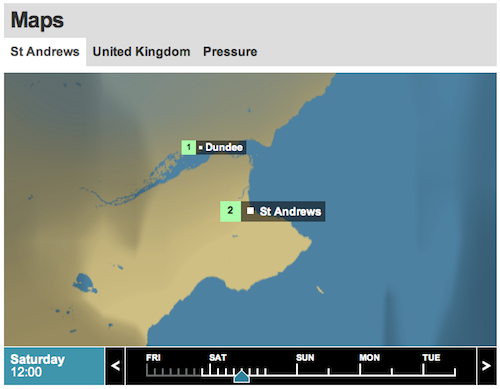 Hopefully they'll sort this map labeling overlay problem in updates soon, but until then I'll keep searching for Balmerino when I want to know the weather in St Andrews. Update 16th December: They fixed it, yay!